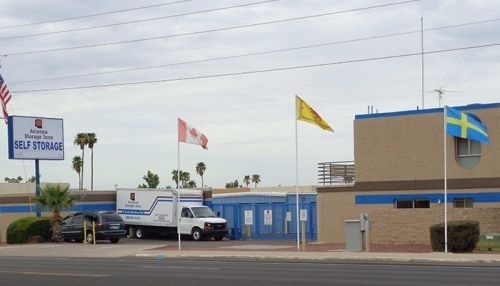 Welcome to Arizona Storage Inns located in Mesa near the intersection of East Main Street and Sossaman Road. Our self storage facility offers extended gate access hours, video surveillance, drive up access to all storage units, and electronic control access gates. Ask about the rent free use of our moving truck when you rent a storage space. We have a variety of storage unit sizes* ranging from 3' x 5' to as large as 20' x 40'. Whatever your storage need, we have the solution to your storage problem. Went smoothly, no problems. Convenient location. Great service setting up rental and smooth move in. Happy with storage unit.